For this months Future Music sample collection (FM219) we've been all about synth strings - analogue, digital, hardware, software or a mixture of all four, it's all been fair game. 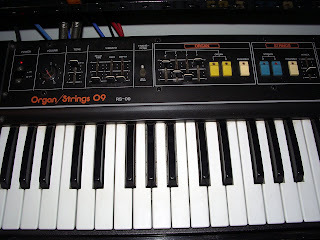 On the Analogue front this month has given us a chance to show some love to our Roland RS-09 organ/strings machine. Although not exactly a classic, (the organ side of things hardly sets the world alight sound-wise), it's still possible to coax some lush, vintage sounding strings out of this machine. It also has a sticky key, a D, that miss-triggers when released. Rather than this being a problem we tend to treat these little quirks as part of the instruments unique personality. A quirk that shows up in some of the chord samples included in the collection. 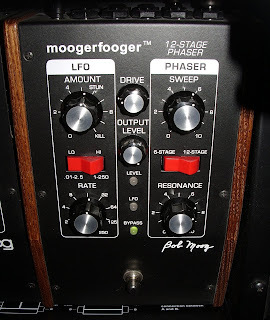 Of course synth strings just love modulated effects, so the Moogerfooger phaser pedal got some use as well as an 80's boss rack mounted chorus unit we've had knocking about for a while. As a bit of a bonus we've uploaded an exclusive 4 octave multi-sample (sampled at C, D#, F#, A) taken from the RS09 run through an Electroharmonix Small Clone chorus pedal to our Soundcloud page for you to download as a taster of the FM 219 samples. Apologies for the lack of input to the blog over the last couple of weeks, we locked up GCHQ for a couple of weeks break in the sun to re-charge the ol' beat batteries.